Is there a virtual Palm in your Future? First there was virtual pets, now there is virtual Palms. With the recent release of the Garnet Virtual Machine for the Nokia Internet tablets, it now joins StyleTap as another contender for virtualizing your Palm device on different portable hardware. The real benefit of the Palm OS platform has always been the abundance of third-party applications which can personalize your handheld for your lifestyle. Many people get hooked on a particular application, which may not have a counterpart on another platform, and that confines them to staying on the same platform. Virtualization technologies like StyleTap and the Garnet VM allow you to run your favourite applications on a different hardware/OS platform, which means you can choose new hardware which has the features you want, while still being able to run your favourite applications. For those people who tire of dealing with the limitations of the existing Palm OS or hardware, you now have the freedom to choose something more to your liking. As for the timing of this release, it’s definately a shot across Palm’s bow, and will hurt Palm’s handheld sales to some degree this holiday season. Nokia has recently released it’s N810 Internet Tablet, and the N800’s are still selling strong, priced around $260 CDN, compared to the Palm Tungsten TX priced around $280 CDN. So, for $20 less, you get 2 memory slots, a webcam, stereo speakers and headphones, and a 800×480 screen, along with Wi-Fi and Bluetooth and a Linux-based OS. 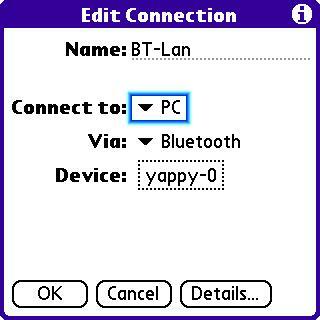 Up till now, the Internet tablet was really only lacking a viable PIM suite; with the release of the Garnet VM, you can now have all your old favourites for free, and HotSync too! It also benefits Access in promoting it’s ALP product to potential clients, and by building in feedback tools to the Garnet VM, they can benefit from the “testing” by a large userbase. So, Palm, I’ll say it again; it’s time to swallow your pride and look long and hard at licensing ALP, since your home-grown OS won’t be out ’till late 2008, or the next virtual Palm we see may be a virtual Palm Inc., as seen in the Wayback Machine. Given that Palm recently stated in the Q1 FY08 investor conference call that the next generation Linux-based Palm OS would not be ready until the end of 2008, and that it was being developed in-house, I have grave concerns that Palm will not get it out the gate in time to make it worthwhile. These concerns stem from the recent deal between Emblaze Mobile, Sharp, and ACCESS, where they announce they are developing a device which will “revolutionize mobile communication”. Emblaze claims they’ve been working on the device design for the past five years, and that Sharp will provide the hardware and ACCESS the software. Let’s look at this more closely to see why I’m concerned for Palm. First of all, Sharp is involved. Sharp is a major manufacturer, one that makes a lot of parts for mobile devices; in fact, many Palm devices use Sharp LCD’s . They’ve also made the Zaurus line of Linux-powered PDA’s, which have quite the following in Linux circles. They’ve been making other PDA’s for years; my first PDA was the Sharp SE-300. They also manufacture Notebook PC’s, mobile digital audio players, projectors, professional video products, and other entertainment devices which are of interest to today’s consumers. So, basically they are a multimedia, computing, and handheld powerhouse, one that makes much of their own hardware, which lowers their parts cost (and thus overhead) greatly. Compared to Palm, which contracts out the building to companies like HTC, they are now at an advantage by being able to sell the devices cheaper, while still making a good profit. Sharp is also the manufacturer of the Sidekick/Hiptop series of mobile phones, which gives them a lot of experience in the mobile communications space. Now, when you combine that experience with their other product lines, it makes them a very formidable player in the mobile space. What has been holding them back is the limited selection of 3rd party software for the Danger OS running the devices, and the fact that software is written and encrypted for specific versions of the OS on specific carriers. Not all carriers carry their devices, since they compete somewhat feature-wise with the Blackberry, which limits their brand recognition and market penetration of the mobile space. Now, we all know that ACCESS owns the former PalmSource, and it’s present and future versions of Palm OS (Garnet and ALP). 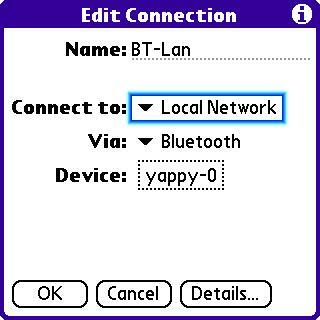 ALP, the Linux-based successor for Palm OS, has been in development for years, and is now available to licencees. The Access Developer network is open to developers, and the software development kits and compatibility test tools are available now. That means the ALP software is available to manufacturers NOW, although we just haven’t seen any devices based on it yet. So, where as Palm is still working on “their version” of Palm OS Linux, Access has ALP ready to roll. Now, enter Emblaze Mobile, centre stage. They’re the makers of the Emblaze Touch 7, a multimedia feature phone which was targeted at the youth market in the UK and Europe. They’ve got hardware experience and software experience, much like Sharp, but they’re a small, albiet creative, player in the mobile space. Think Handspring when they first came out with the Treo 180. Now, this is all my analysis and conjecture. No specs have been released, no dates finalized. But given the fact that a) ALP has been finished for a while, b) Emblaze has been working on a hardware design for 5 years, and c) Sharp is involved, it’s really looking like a better Palm device is about to be released, but not by Palm. Of the 6 Palm OS devices I’ve owned, 3 were not designed by Palm (TRG Pro, Handera 330, and Treo 600). Many people loved the Sony Clie’s for the same reason. Those companies were making better Palm OS devices than Palm was. It’s looking like we’re going to have the same situation again in Sharp/Emblaze. Now, what really concerns me about Palm’s decision to write their own OS instead of licensing ALP like I suggested in postponing the Foleo, is the fragmentation of the developer community. Some of the smaller developers are not certain they’re going to write for the next generation Palm OS, because they’re already tired of fixing Palm’s device-specific “improvements”. If they take the same approach with their OS, and developers are faced with a choice of developing for ALP and it’s licencees or Palm, they may choose to develop for ALP. If Sharp brings this ALP powered device to market, and it’s a better “Palm” than Palm’s product/OS, then developers will choose to go with the greater opportunites for sales. And if Sharp/Emblaze does come out hardware-wise with a “Better PalmPhone” than the Treo, the ALP Palm OS compatibility will ensure they have a best-seller on their hands. Everyone who has been frustrated with the lack of Wi-Fi, OS resets, and NVFS issues will take a good look at a product which has those issues addressed, and yet will still run their existing applications. Palm, learn from your Cobalt mistakes; you can have a great OS concept, but if no one wants to develop for it, it’s worse than worthless – it’s a moneypit. If you’re busy writing an “ALP clone”, then it better be compatible with existing applications, and it should be compatible with applications written for Linux/ALP with a minimal amount of rewriting or just a re-compile against the different headers & includes. If you make it incompatible, you may find your products going the way of Cobalt; into the trash can. This Emblaze/Sharp/Access announcement means the pressure’s on, Palm; get it right, or don’t bother. I know a fair number of people read this blog every week, many looking for answers to their problems, or looking for new ideas and solutions. I’m hoping some of you readers may help me by way of your own experiences. Earlier this week, I wrote about installing Childsplay on Freevo, our Home Theatre PC. Childsplay is normally run on a PC, so it normally expects a mouse and keyboard. I’m hoping to get a game controller to be able to have my kids play with it, but I’m not really a gamer. I’m not really sure which type of controller to get, but I do know I want to get a wireless controller. I know there are Linux drivers available for Xbox 360 Wireless controllers (xpad), the Wiimote (Cwiid), and the Playstation 3 controller. The xpad drivers have been around for a while and are pretty stable, but I don’t know as much about the Cwiid (Wiimote) or PS3 drivers. I haven’t really spent any “hands-on” time with any of the controllers, so I’d be interested in hearing people’s advice or recommendations on the controllers in general, and under Linux in particular. How would the three of them compare as general purpose game controllers? (either under Linux or on their native platforms) I know it’s an “apples vs oranges” comparison in some ways, but I’m thinking along the lines of general compatibility/usability with a variety of educational games by non-gamer type adults and young kids. How are the linux drivers? I’ve already compiled the ones for the Xbox 360 Wireless, so it’s straight forward. I don’t have any experience with the Cwiid or PS3 ones… Is there a mouse emulation mode for the Xbox (xpad) or PS3 drivers? Thanks for any and all help rendered! Please feel free to use the comments for your replies, so that others may also benefit from your advice. Much appreciated! You’ll now have a menu item, “Play a game”, and if it’s the only game configured, it’ll run Childsplay. You can then pick which particular childsplay game you are interested in playing by clicking on the thumnail picture. We tried it with the wireless keyboard, and it works well. I may experiment with it’s “kiosk-mode” when I have some free time, which uses an on-screen keyboard, and experiment to see if it works with a joystick or gamepad. It includes Linux kernel 2.6.20 (Debian Etch only includes 2.6.18). It’s got nice hardware support, including the k8temp module needed by my AMD 3500+ processor on the ASUS M2NPV-VM motherboard. It also has the Nvidia drivers available in the restricted modules section. I had to manually install the nvidia drivers, as it was an ‘apt-get’ upgrade (I’ve been stripping this install back to the bones since it’s more of a multi-media “appliance” than a PC). Mplayer is majorly broken in Fiesty. Playing a video results in distorted sound. I ended up having to reconfigure Freevo to use xine instead of mplayer. So, be wary if you use mplayer (or software that depends on mplayer) if you plan on upgrading to Fiesty Fawn. UPDATE: July 2007. The specific problem is that mplayer’s mp3lib is broken. After googling around, I found that adding “afm=libmad” (without quotes) in /etc/mplayer/mplayer.conf fixed the problem. I’ve been using Freevo as a “VCR” for about a year now, and I really like it. Freevo is a lightweight multi-media PC framework written in python, running on Linux, using many existing open-source multi-media players like mplayer and xine. In my case, I’ve been using it for the last year running without the GUI on my server in the office, while displaying the recorded programs using a Hauppage MediaMVP running the open-source MVPMC (MVP media center) instead of Hauppage’s Windows-based software. The MVP is great because it’s quiet and low-power, boots quickly, and produces a great video image; we use it to watch recorded programs in our bedroom after the kids are in bed. The MVPMC software really gives it a lot of flexibility (more so than Hauppage’s own software), and it’s under steady development to give it even more features. MVPMC also integrates nicely with that other Linux HTPC package (MythTV), but I personally like Freevo’s design much better. I’ve been using Hauppage’s WinTV PVR 150 as the capture card (I use the less expensive 150 OEM MCE edition, as they don’t come with the Windows software, just MCE drivers). The full retail version comes with a remote, which is supported under Linux using the LIRC package. So, getting on with the story… I noticed that Georg had packaged 1.7.0 for Debian and Ubuntu, so I decided it was time to upgrade from 1.6.3, as 1.7 has some really nice new features. I hit a couple of minor packaging issues, which I figured out and sent Georg an e-mail last night (he had them fixed in the morning! Gotta love Open-Source developers!) I backed up my local_conf.py file, and copied the new local_conf.py.example to local_conf.py, and started restoring my settings from the backup file. Generally, everything worked well, except for some video issues. This is how Freevo’s IVTV options were configured “out-of-the-box” in the Debian packages I used (IVTV is the open-source driver effort for cards like the WinTV PVR series). Here are the defaults for the two settings that got me when I upgraded to the 0.8 drivers from the 0.7 ones. I needed to set ‘b frames’ to 2 to eliminate some picture jitter I was getting, and I needed to set aspect to 2 to get the aspect ratio back to the expected 4:3 for my TV (3 is 16:9 widescreen, which I don’t have). As the drivers develop and get merged into the v4l project, expect to tweak settings as defaults may change. v4l2-ctl -l | more is a helpful troubleshooting tool that lists all possible controls and their values. It lists what the defaults are as well as what the current value is, so if you run into problems, try setting your values to defaults, then changing one at a time to see if that fixes your problems (or improves the quality, etc.). I’ll write something more about Freevo in the future (It’s a project I really enjoy using! ), but if you have questions or comments, feel free to use the comments on this post to ask away!